Last Month was also about the fasts ( श्रावणी सोमवार , शनिवार , कृष्ण जन्माष्टमी along with the usuals संकष्टी , एकादशी ) and the later half of this month will also be as Navratri approaches. Devotees fast for complete nine days. Some do it without food/water while some relish on the fast food, I mean, the food meant to be consumed during fast. सात्विक आहार / Satvik ahar which means pure food. 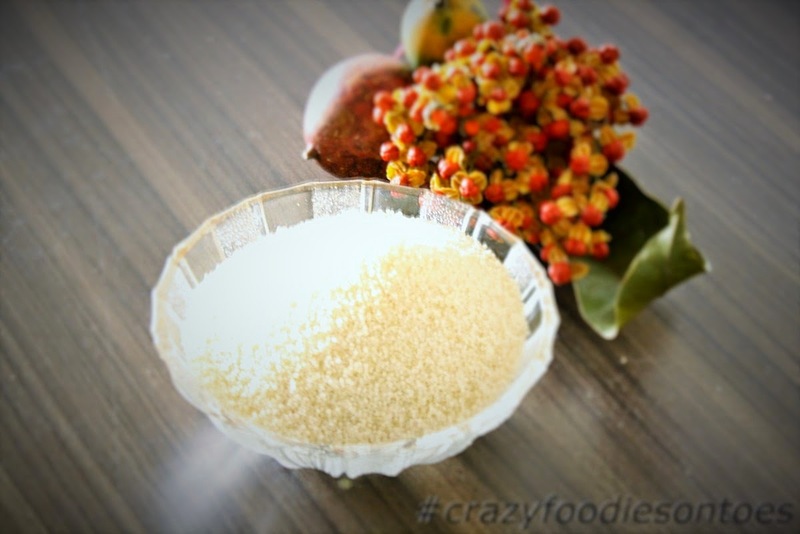 Samo Rice aka Jungle rice aka Varicha Tandul (वरीचा तांदूळ)is an ingredient famous during the fasting season. 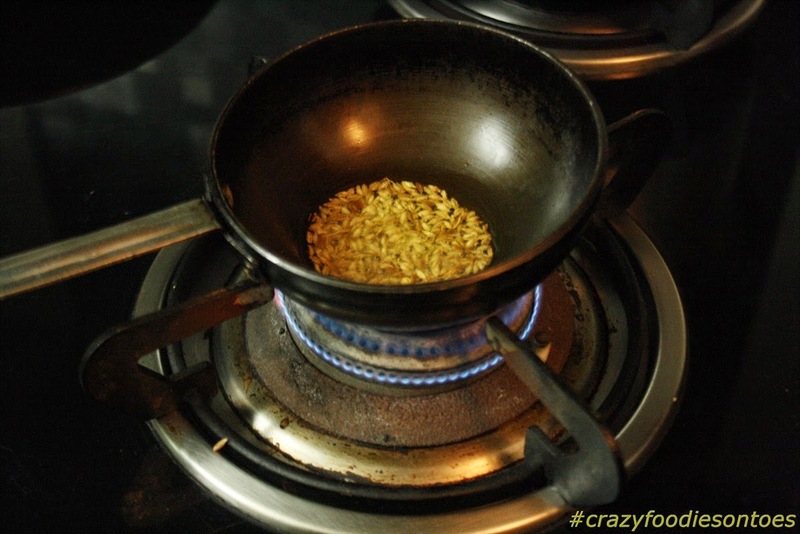 It is used in many fasting food recipes. 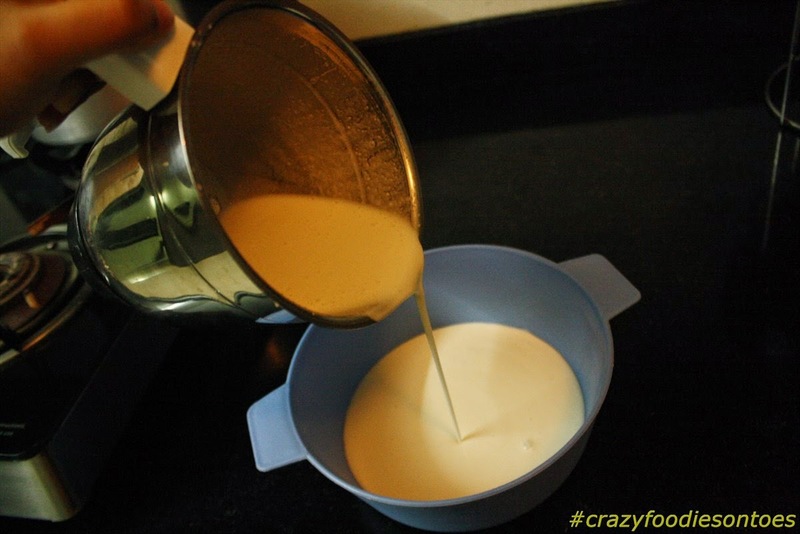 I use it to make my Fast Dosa. I name it so cause it is eaten on a fasting day and is pretty fast to make. 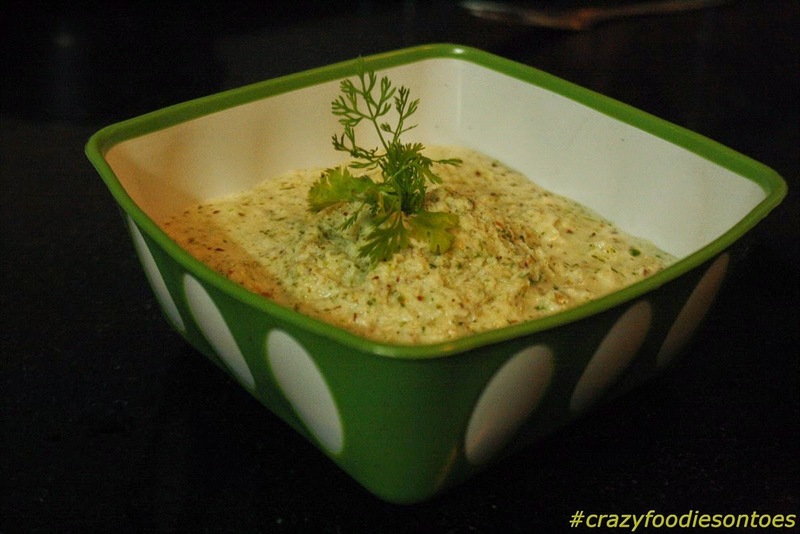 Coriander: as much as you like I don't want the typical Green Chutney look hence I use bit less. Grind all the above ingredients except for oil & Cumin seeds. Take the chutney into a bowl. Then heat up the a table spoon of oil in a tempering vessel add cumin seeds. Let them sizzle. Pour out the sizzling seeds on the cutney. 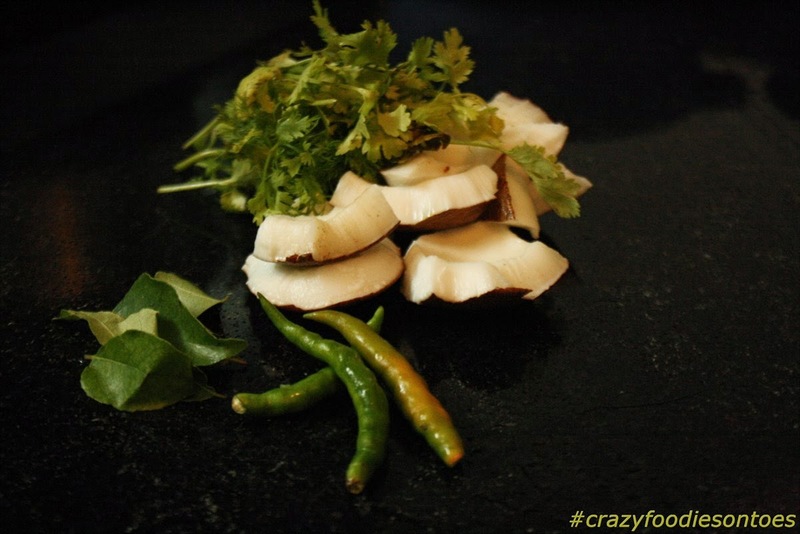 Base ingredients of the Coconut Chutney. Add seasoning, peanuts & curd. Tip: If you don't want to temper you can dip in the dosa in the chutney right away. Soak the Samo Rice for half hour by pouring hot boiling water. Hot boiling water breaks into the stern rice granules. 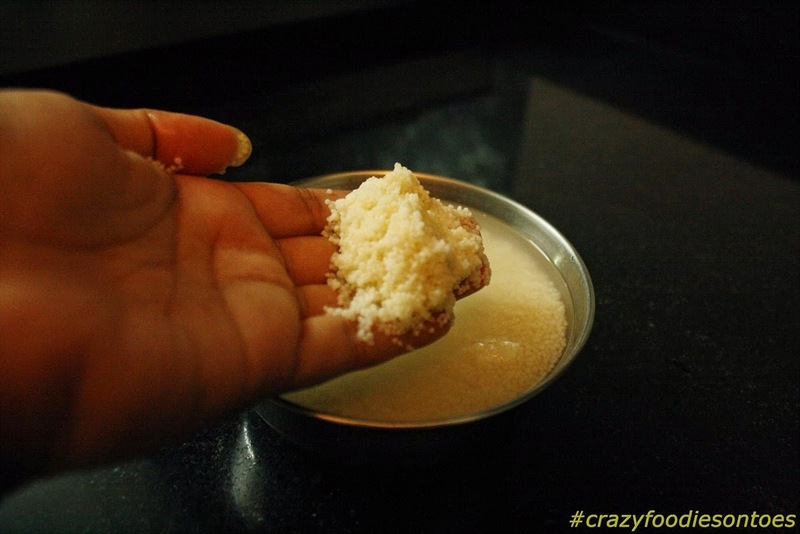 After half hour, grind the jungle rice with some water and curd. 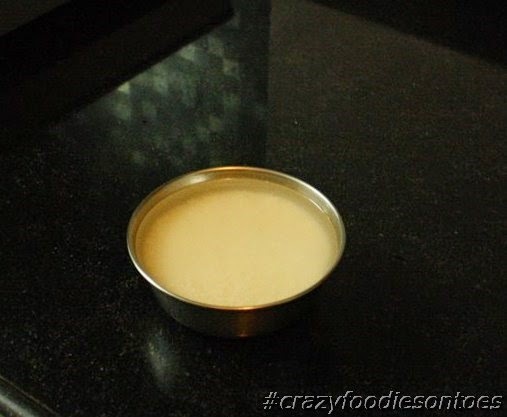 Process till it gets into a dosa batter like consistency. 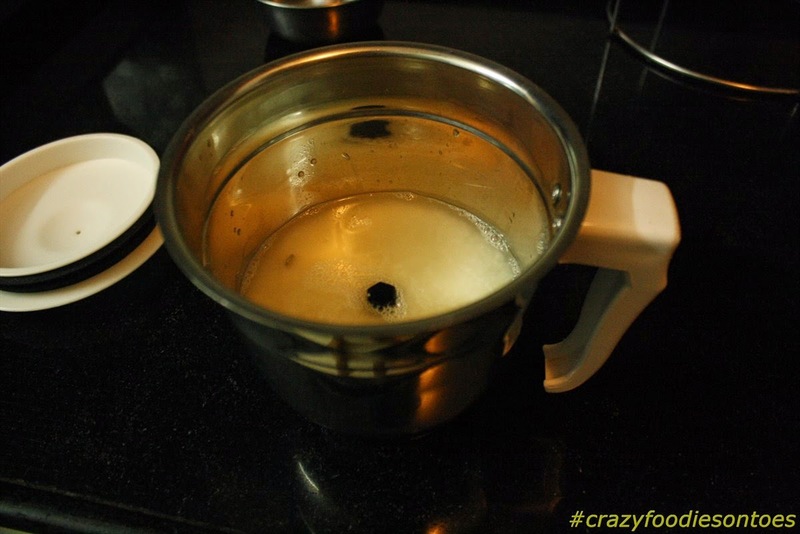 Heat the non-stick pan and grease it with some oil or ghee. 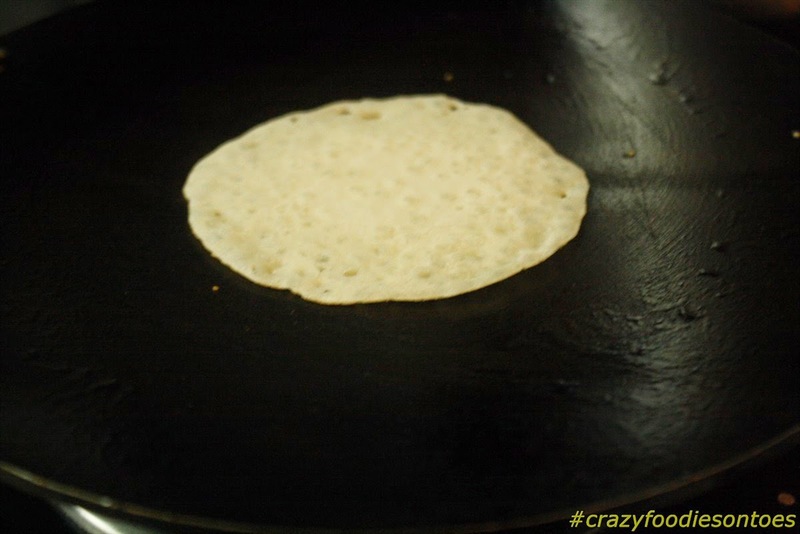 Batter out the dosa into a round shape after the pan is sizzling hot. Cover the dosa for a minute. Flip and crisp out on both ends. 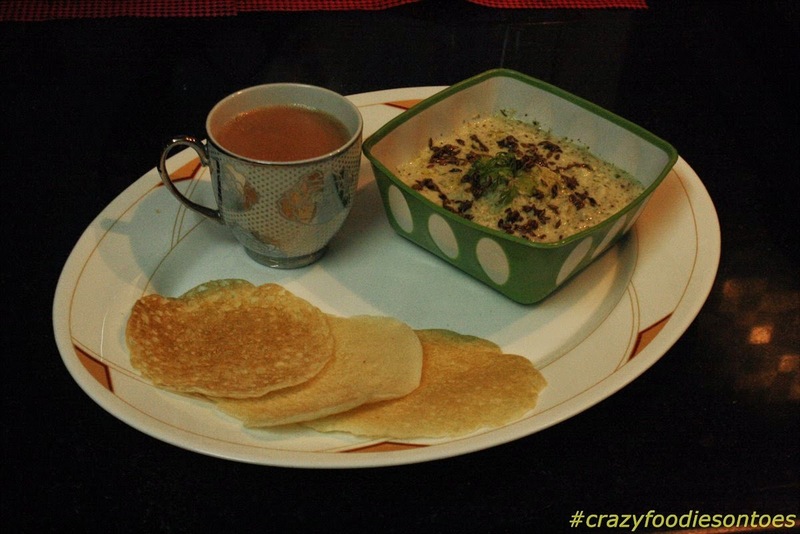 Serve with chutney & hot ginger tea. Jungle Rice in Hot water bath. Tip: Samo Rice is hard to break hence must be soaked minimum of 30 mins. 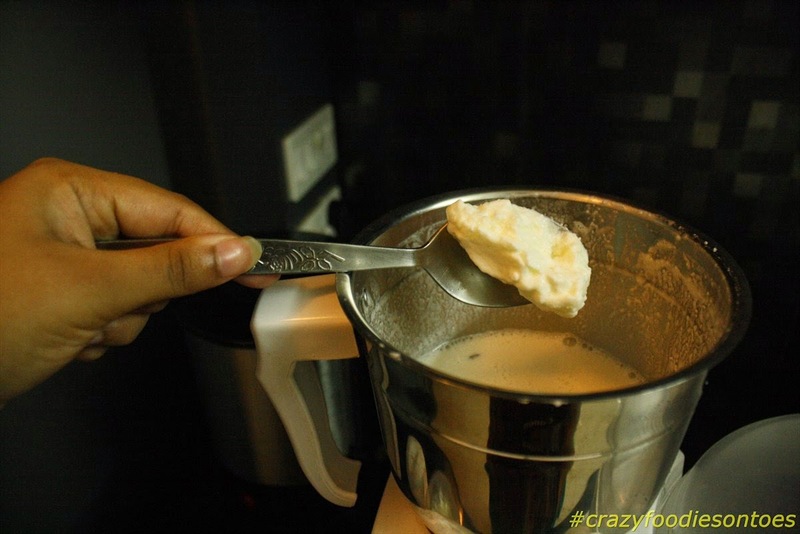 Tip: Curd or Yoghurt play the crucial role in getting right consistency hence use a tangy thick curd. 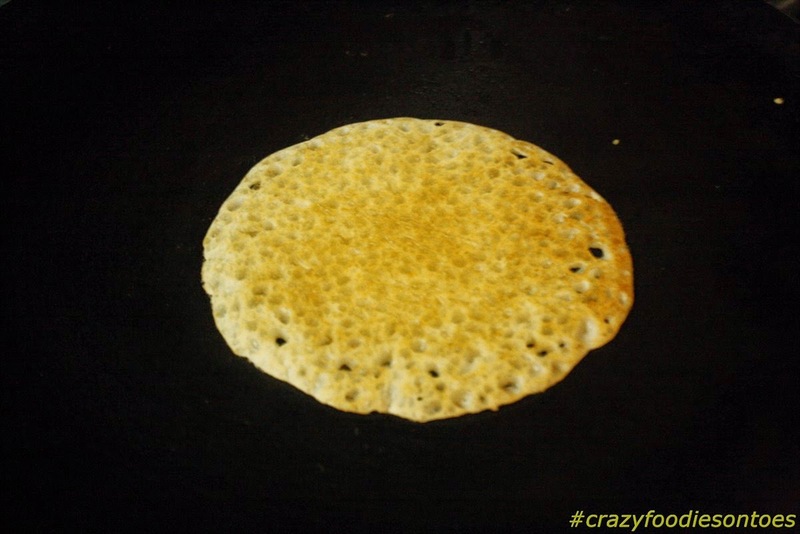 Tip: Small dosa are fast to cook, easy to handle & look adorable. Tip: Make sure both sides are crisped well. 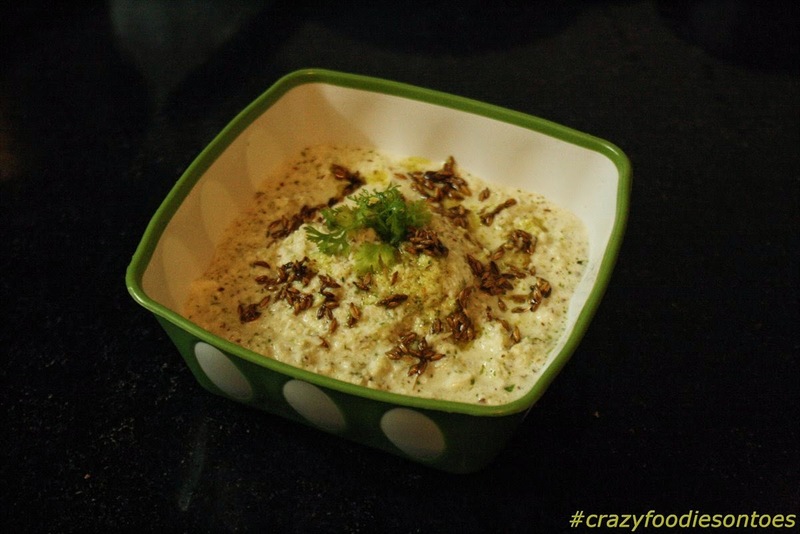 Tip: If not calorie conscious then drizzle Desi Ghee. 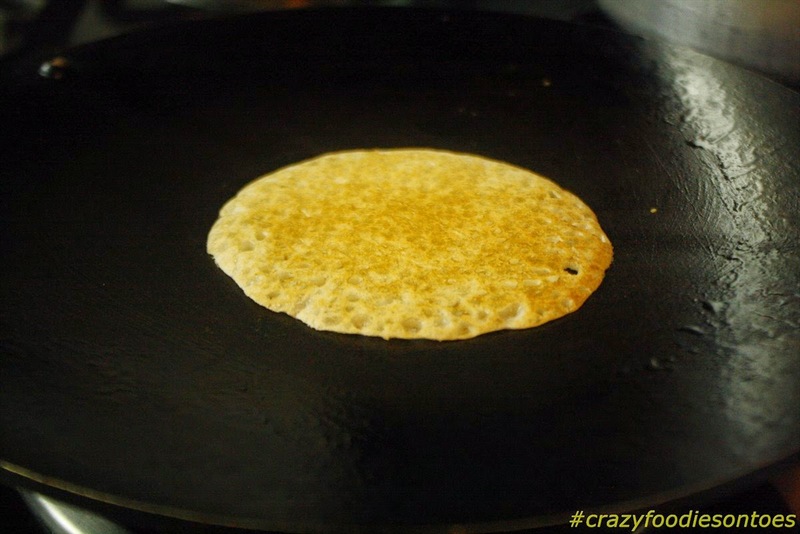 Enjoy you Fast Dosa with Coconut & Peanut Chutney with a hot Ginger Tea.